Creative Zen NX and Vista, Windows 7 Working Together Finally !! I won’t be updating this much more, but still interesting that I do seem to still get visits every week to this story, comments and queries. Most all of the zen the mp3 players/products this addressed have long been considered end of life for creative labs. Creative labs themselves are struggling and they may soon be end of life themselves, as they struggle to reinvent and diversify themselves. With apple owning so much of the mp3 market place and Microsoft about to get in the mix, via the windows mobile 7 platform, creative will have to work hard to even compete for low market share. As a result of all of this the availability for drivers for the older players are currently still on the creative site (here is a short-cut) http://bit.ly/zen-mp3. I see by my last update windows 7 has come out since I updated last. It is actually easier for windows 7 then vista on the compatibility side of things so that is good. Please continue to leave comments and questions I will try to be as fast as possible on my responses. Had quite a few emails recently asking for additional help. Sorry don’t have time anymore to address everyone. However I will update the blog occasionally with anything worth adding. 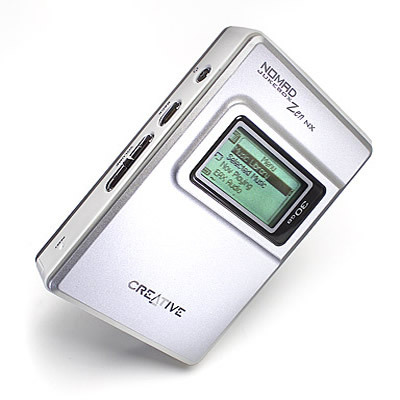 Most of the older Zen Mp3 Players (like my NX) that I wrote about originally, are thankfully (for Creative.com). Technically end of life. This mean that the support of the these (if there ever was any) Is all but capture. However to date all the drivers I mention are still available (if you have lost your orignal cd or drivers.. at their site here . Now creative is changing their site soon, so the site may change url embedded above. Always go to creative.com, technical support, mp3 players then look for your zen player for all your driver needs. Hope that helps. I am still heartened to hear form so many of you around the globe. A question that is coming up more frequently now, is will it work with this zen device or that zen device. Just remember, I am not using anything other than Creative’s own software to get it to work with vista. It is just the order it is installed, that works. So if the software works, it is the order it is installed. It still amazes me that creative blew it so bad. I for one just bought a new mp3 player and avoided creative like the plague (but I have to confess I did look) so I could glare and dismiss them. As some folks might be aware creative actually sued someone last year for taking what I did a step further as they actually made their own drivers for some creative products to work with Vista. The article is here if you are interested. I think he was sued, but it would have been interesting had my plight got on their radar as nothing was tweaked just the order in which their own drivers were installed. It is a shame that creative as great as they once were seems to be less of a player these days (no pun intended but ok). So the moral of this story is if it isn’t broke don’t fix it. You should have the right as a consumer to raise hell, complain and when all else fails find a way to get your money’s worth (and perhaps a bit more). My 30gb zen NX (my 3rd zen mp3 player), just got out-grown, like those before it, and with it the last likely Creative product I will ever buy. Thanks again for the feedback (positive or otherwise). PS, Creative keeps moving some links around, so please let me know if you bump into any dead links and I will keep updating them. Just a further note that when you complete the install on vista, you should have the ‘nomad’ explorer logo showing per the image above regardless of whether or nt a device is connected. When you click on it, it will show its state as connected or not (per the images above) and change when you connect the device(s). I also use the 3rd party ‘notmad’ product by ‘redchairsoftware’, and it requires the creative driver to be installed and working 1st. I decided to give my already updated PC to my wife, and build myself a new Quad Core PC (why not). I also decided not to install any software that came with my Zen NX to see if I could make vista work without it this time. It was harder this time but took 10 min. vs 3min last time. Note: MAKE SURE YOUR ZEN IS NOT PLUGGED INTO YOUR PC’S USB PORT yet..!! 1) So you need to decide if you need the creative media player/converter (media source) or just the explorer program so you can sync programs. (file explorer). 2) Either way you will need the program “JB3MV2_PCWDRV_US_2_01_00.EXE”. It is on creative .com or around the globe just google it. You need to run it in windows xp compatability mode (that’s right click properties, seciurity run as xp sp2). Also run and install as administrator (right click, properties, run as admin.) This is the zen driver for your PC. Note: If you intend to use a 3rd part product like red chair <updated they have good ipod products also) , you also need this driver above. Note: I have tried it not doing this way and it gives you errors. Note: In installing it with the player plugged into the USB it killed other USB ports, that I then needed to unplug and replug into, no biggie either way. 3) On installing the jbmv2… driver it appears to hang at some number 52% say… after it is there for a while you may need to manually cancel it (do not turn off your pc). This is because the code written for XP is not written for Vista so it appears to hang when it really has not). Once you manage to kill it then it says it is in installed. 4) Depending if you want file explorer (for syncing NMEX_PCApp_3_01_10.exe) or the media source program for playing and converting (CMS_PCAPP_LB_3_30_21.exe) they should install fine now. Note: I suggest installing media souce 1st as it works witohut rebooting, file manager for syncing required a re-boot). 5) Note: desktop shortcuts might not appear but will be under programs/creative via your start button. 6) Enjoy (or reboot and enjoy). Not thanks to Creative Labs that ignored all contact on the subject (from me and the rest of the world) all but to say the Zen NX is not Vista Compatible Bull Sh**. So why would they say that if it wasn’t true? So you buy a new MP3 Player.. maybe. Because they couldn’t be bothered to support a last generation MP3 Player.. maybe. Or because they were perhaps too lazy to spend some time finding out how to do it…likely. So I have to start this quickly to say I was a Zen fan boy, from the original hi-tech 8-bit PC soundcards, other incarnations of mice, and yes MP3 players. I started with the original NOMAD MP3 for $300 US, then when the NX came out I had heard the spec and that it had essentially a laptop battery inside…hmm what would happen if I hacked it and added a 60gb HD into it..hmm. OH MY GOD! It worked a 60 gb Zen NX and I used to amaze my friends (the geek ones of course then). SO when I finally went to install my little friend on Vista, I was more than a bit saddened by the fact I had to use my XP machine to update my music.. But wait a minute, Vista can see the player but the drivers are pooched .. SO after a bit of trial and lots of error (days) I got it to work on my new M90 Dell laptop but I don’t know how I did it. Time to try on PC, this time it took 45 minutes to figure out how I did it, so simple I can afford the waffle on. 1) Install original software that came with nomad. 2) Sometimes it will install other times it will all run but in the end after all the software (media source) etc is installed it will see the Zen NX, but not work. 4) Go to creative.com and download the lasted media source program (currently Creative MediaSource Player/Organizer 3.30.21 and is about 52mb.. I know some are going tried that..
8) Go to your original software disk and under drivers run the Jukebox driver driver_JB3.exe It will say it cannot read your disk on this and windows will say this is not a legal driver. Just keep installing it, and saying yes or ignore. This should leave you with your portable device icon being live and the latest media source software. If the latter doesn’t happen you can now reinstall the latest media source (or firmware etc) and all works fine. For me it was installing Notmad Software from my friends at redchairsoftware.com/notmad. That now also worksAny questions leave a comment on my blog here, I will answer all. Except why didn’t creative do this themselves in the 1st place.. I tend not to edit unhappy comments, so all comments appreciated. I am sorry if any of you have had trouble getting this to work. I have recently spoken to Creative Labs and Redchair Software (or at least tried). Thus far neither are willing to offer any patches for their products to make this easier for folks to use their Zen NX. Their view off the record, is they see the demand for a fix, not worth their time in revenue. I can appreciate it (even though I disagree with it). So, I note that there was a more recent release version (version 5) of the media source organiser. It did not work for me with the Zen NX. Nomad, or Zen (the orignal 10gb model) on Vista. So to date I am still happily using the tweaked 60gb zen nx 110% with vista. If anyone needs help just ask. This looks great…do you know if it will work with a creative zen micro? I tried the method mentioned above with no luck. I will run through the steps I took to see if maybe I missed one. 1.) Installed original software that came with my ZEN NX. It installed and you can see then NX on the My Computer device screen but when you click on it, it says “Not Connected”. 2.) Downloaded the Mediasource player/organizer 3.30.2. Clicked on it to install it. It extracted the files and then a pop up titled “CMS Web Installer” came up and Said something along the lines of “Setup Unable to Detect a Supported Product” Then gave options to “Retry” or “Cancel” after retring a few times I clicked on “Cancel”. After that a windows box popped up and noted that program did not install correctly and asked if you want to “Retry Installation” or “Accept as Correctly Installed” I accepted it hoping that I got what I needed. 3.) Went to original software and attempted to install the Dvr_Jb3.exe. While installing it stops and and indicates “Error Occured While Installing”. After this it still says “Not connected” when I go the device screen. Can you see anything that I missed or did wrong. I’m gettiing desperate at this point. Thank you very much in advance for any additional information you can give. This doesn’t work at all. I’m not sure what you were smoking when you wrote this, but it’s not accurate or reproduceable. Creative gets major negative marks in my book for not directly supporting Vista. There must be a way to get everything to work, but this isn’t it. * After all the previously described steps, I had to open my device manager, right-click on the ZenNX that was detected (with an exclamation mark) and I selected “Update Driver”. I then pointed windows to the “c:\program files\creative” directory and finaly, Vista accepted the “legacy” driver. Thank you for the hint and shame on Creative Labs. I got a new computer this week with Vista. I’ve spent the last four days trying to get my Zen Xtra to work with it and it’s been frustrating. The best I’ve been able to do is to finally get Vista to recognize it, but not to fully load the player. I can get it half full and Vista refuses to load anything else on it. What a crock. I learned an awful lot about Creative this weekend and none of it is good. I really love my player, but half a player isn’t really going to do it for me. I guess I’m in the market for a new (non-Creative) mp3 player. mrinternet you totally rock. My CL Zen Xtra – Vista recognized it now. Thanks for your help! I’m having the same problem with my Jukebox and Vista.I hope that the stuff I read here can help me fix it.But I have a question.Why does everyone keep blaming Creative?Yes they should be able to release some new drivers compatible with Vista.But that’s not the point I guess.The point is when you re-product a software,a new version,it should be able to do whatever the previos version did and some more features …So why don’t you blame Microsoft for producing Vista? !Anyhow,I bought my jukebox 3.5 years ago.The drivers are rather old for sure.But shouldn’t my Windows Vista be able to deal with it like my XP?! My view from an industry perspective is that, the driver compatibility for any product has a responsibility split of 25%/75%. That is Microsoft or any OS needs to provide the ability for the product to work in its, Operating System (Vista in this case) and the 25%, but it is mostly (75%) the hardware suppliers responsibility to make sure their product, and its user documentation, allows its hardware to work (easily) with various OS’s. Microsoft did fail in making driver compatibility available early enough for hardware manufactures to react and were not clear enough that hardware manufacturers would need to be proactive for the 1st time in addressing hardware needs. However, Creative and Microsoft had an intimate relationship, (teaming up to take on Apple and the iPod) so this was not an issue. This then goes down to the mighty dollar, where creative in cutting staff also had a problem in sales with its new products coming on at the same time as the iPods were taking over the market and to make matters worse ally Microsoft had decided to capatalise . What better way to stimulate growth then to kill all previous owners’ ability to work with vista. It is also known internally that Creative were not that chuffed with Microsoft introduction of the Zune, hurting matters further for new Zen products. It had been discussed that Creative would make the Zune for Microsoft and that also did not happen. SO the bottom line is Creative (or any seller) has the responsibility to look after its customers. Vista works with all creative products (including the nomad), so if I (and others) can figure it out why can’t Creative? This can be proven in that there could easily have been a class action law suit against Creative, in failing to support users, when Vista was launched. Creative was able to avoid this by ‘back cataloging’ any products it did not want to support with vista (for what ever reason). This is shown, of course by looking for drivers for the older products, where it shows it is not supported by vista. Finally, all the compatibility issues has since been resolved going forward by introducing new driver compatibility standards with Microsoft called ‘playforsure’. This new standard makes it very easy for products to work with Microsoft, very easily. The older creative products could not meet these criteria so Creative smartly avoided the problem again. Most users (according to Creative), were not negatively affected by vista. In English this meant the cost of supporting vista for older players like the nomad, and Zen NX was too great, and many users either did not migrate to vista or were happy to buy new players (vs. the cost of support and hurt on new sales). And the other against Apple by Creative, where Apple lost $100m ouch. This actually granted Apple a license to use the the ‘tree’ structure on all iPods. Again this firmly puts the burden of blame on Creative. I am still a fan of creative hardware but quite dissapointed how they treated existing owners. I am sure this mean users like us looking at other players closer next time. I know I do . Mr-Internet started life as an electronics buyer in the UK, buying and selling retailers the 1st and 2nd Gen gaming consoles, PC’s and sound cards. He won various accolades from Sony, Microsoft, IBM, Creative and others, including Distributor of the Year, and Salesman of the Year. He then moved on to the Internet(s), being part of the team that introduced business adsl, and fixed internet access in the UK, and Europe, where he won more accolades from this global telco. He continues introducing new Internet Products today, moving more into online applications solutions. He has spoken as a futurist across the UK and beyond. I tried this technique with Vista and my Jukebox and initially it didn’t work. Neither Vista nor Creative Media PLayer would recognise the Zen. Then I rebooted and plugged the Zen in to the USB port. Vista said ‘Installing new hardware’ and when prompted, I chose to select the drivers myself and pointed Vista at the directory where the drivers had been installed. Bingo, Vista accepted the driver and what’s more it appeared as a connected device in Computer view. I could even double-click on it and browse and transfer files in native Vista explorer. However Creaive Media PLayer still insisted there was no Creative device installed even though Vista was seeing it. So I didtched Creative media Player and installed Winamp instead. Winamp manages the Zen perfectly. Thanks for getting me started. hey… i have a creative zen xtra and the same problem got me frustrated…. then i came across this…. and it WORKED….!!!! i had all my data on my creative and i dunno what hell i would have gone through if it wasnt for this…..
everything’s working just the way it used to in xp once you install…(or say semi- install 🙂 the driver that’s mentioned…. Yes, I am so glad that winamp can work with Creative Zen Xtra under vista, EVEN x64 which I have! Just install the latest XP driver under compatibility mode and run as aministrator, restart your PC. Open winamp and BINGO! Winamp’s “portables” function works perfectly. Thanks ! I got my zen nx working on vista sp1 by just installing the “JB3MV2_PCWDRV_US_2_01_00.EXE” drivers as administrator and in win xp compatibility. Quite simply – you are a genius! Painless and done in 5 minutes. You put Creative to shame. Following these directions I was able to get Nomad Zen Explorer to work and managed to use that and dragging and dropping from my MP3 folder to load my music onto my device. Thank you for the experimental work. I am so happy – using these directions I was able to get my 20gig Zen to work with Vista. I did as someone above did – installed the driver (JB3etc), plugged in the Zen, which Vista then found and installed okay. I can’t see it in explorer, but winamp picks up the Zen with no problems and I can manage everything through there. Vista sees my Nomad 30GB Zen Xtra and Nomad Zen Explorer + Creative Source5 software works. THANK YOU!! You’ve done a great job, I now have my JB3 working with Vista. I am grateful for this, I hate Creative for not doing this themselves, it’s their responsbility to look after their customers!! This method works great but only for the USB interface, do you know why the firewire port doesn’t work?? Once again, thank you, great job!! >>Close Computer Management and reboot. Brilliant. Used your instructions to install my Zen Xtra on my vista box with the Zencast software (media player 5 would not install). Worked for my Micro, though a couple of things were done differently, but it was these fantastic guidelines that even got me close. Thank you so, so, so much. Thanks a lot… It’s working great. Thanks for putting this info up – didn’t exactly go without a hitch, but at least I was able to update and sync my old Zen Jukebox. I agree with the poster above … never again will I buy anything from Creative! could you repeat how to instal software nomad zen extra for vista,from 1step,i will be very grateful. Thanks a lot! I was afraid I had to dual boot with XP just to put music onto my mp3 player. I’ve been trying to get this to work for months and I feel kind of silly that it was that simple. Creative and their marketing schemes can eff off. Hey,… Lovely. I have a Jukebox3 and i followed the steps and it works pretty well on my new Vista.. THANK YOU! I can stop swapping HDs on my laptop (XP) just to manange my music! My ZenNX works in Vista w/ NotMad explorer — connected FIRST TRY! wondering if you know anything about getting the Nomad Jukebox Zen Xtra to work with Vista? Many thanks. I had vista for 9 months and could not get my Creative Zen Jukebox 2 gig to work. It took 3 attempts to get it to work, but it now works perfectly. I tried multiple time to get this to work with no luck. I finally got Vista to recognize the Zen Xtra by putting the Zen in rescue mode (hold the play button down and hit reset), and while in rescue mode, I connected it to the computer. After Vista recognized it, I restarted the Zen and it worked fine. Windows explorer sees it as a drive and Windows Media Player will sync to it. Nomad explorer does not see it and the media source software will not install. This is probably because I have the play for sure firmware (2.10.3) installed on the Xtra. Just bought a Vista computer, and I really didn’t want to buy a new player since I love my Zen NX. Thanks to the directions, it works like a charm. Thanks! finally got it to work using win amp but used the 1_30_03 driver version did not need to run it in compatibility mode also…..found this information on the creative forum…. i want to thank the writer of this blog for helping me get over this hurtle i have the nomad juke box 30 gig …. I was wondering if this would work with a Zen Nomad Jukebox, and if so, if there was a way you could help walk me through it. I’m trying to follow the steps you posted, but I’m not too great with computers and I feel like I’m going to end up frying either my computer or my mp3 player. Hi, it just happened that i found this website and like you all i’m very disapointed by creative and i don’t buy any of their product anymore. Anyway i found a way since the vista beta to make my Nomad Zen Usb 2.0 work with vista x64. 1) find this drivers on internet “JB3_PC64DRV_US_1_30_01” and install it even if it tells you it’s not mean for vista. 2) install “Creative media source 5_PCAPP_LB_5_20_23” (or newer) wich is vista ready. 6) Reboot and connect the Nomad zen. Now you can access, move and play your music throught Media source without any problems. Have fun. For Mark Haley -> Didn’t try with vista x32 but if you’re in this case just try to install this driver “JB3MV2_PCWDRV_US_2_01_00” (1) , and after that it’s the same as for the x64 vista. I’m with you down to step 3. I can’t find the plugin anywhere. Do you know where I can find it? Mate, you’re a legend. It works. Can anyone tell me where to find “Nomad zen usb plugin for Creative Media source 5_LB_5_00_22.exe” ? I just got my Creative Nomad Jukebox zen USB 2.0 working on Windows Seven x64 Beta realease 7000. To get it work i did the same as for vista x64. !!!!!! Don’t connect the MP3 player until the driver is installed and the PC is rebooted !!!!!! -> (2) “Right Click” on it, select “Properties”, then in the “Compatibility Tab”, select “Run this programm in compatibility mode (Windows XP service pack 2)” and finally “Run this programm as an Administrator”, then “Apply” and “Ok”. -> (3) Execute install. (Like in Vista the drivers won’t install completly, it should stop around 70%, don’t worry and wait a little bit). -> (5) After reboot just connect the Nomad jukebox zen with USB cable directly on a free USB Port on the PC (don’t use any USB Hub or it won’t work). Wait till the drivers is installed. !!!! There won’t be any jukebox icon in the taskbar anymore !!!! -> (6) Managing the Nomad jukebox zen with winamp. (it includes a plug in for Nomad zen in default installation). Select the installer file (here winamp5541_full_emusic-7plus_es-us.exe) and “Right Click” on it, select “Properties”, then in the “Compatibility Tab”, select “Run this programm in compatibility mode (Windows XP service pack 2)” and finally “Run this programm as an Administrator”, then “Apply” and “Ok”. !!!!!! Now, install winamp, and at the end of the installation process don’t start immediatly winamp !!!!!! , then select ” Winamp.exe ” and “Right Click” on it, select “Properties”, then in the “Compatibility Tab”, select “Run this programm in compatibility mode (Windows XP service pack 2)” and finally “Run this programm as an Administrator”, then “Apply” and “Ok”. After winamp start, you should see in winamp’s media library in the section “Portables” all the music files you have on your MP3 player if it’s linked. You can directly play them, edit tags, transfer music from the computer library (Local Media) to the Jukebox (Portables) by drag and drop with the left mouse click. It seems that the files transfer with winamp is not so fast but it’s working nicely. For now i won’t try Creative Mediasource (+ jukebox plugin). If Anybody will, comments are welcome 😉 . Final Words, i have to say that i’m already fond of windows seven :O .
I installed it directly from vista x64 on a new drive therefore i didn’t have any drivers issues (or i’m really lucky ^^). At first glance, windows seven looks very much like Vista but after a little time playing with it, it’s another world :D.
So if you are a computer enthousiast with a good knowledge on how to install an OS, you should try it. Open beta access is free and legal. You’ll get a key from microsoft (valid till the 1st October 2009) to activate Windows seven and access windows update. Select “Zen”, then on the right panel (Archived Products) you should see your Products. For exemple “ZEN USB 2.0”, select it and click next. Worked perfectly for my Creative Zen Xtra 30 GB. I was about to throw it at the wall! 1)Uninstall every piece of Touch software you got and reboot. 2) Download the latest drivers from Creative: JB3MV2…exe, together with the latest Creative Mediasource Organiser, Nomad explorer, and the latest Notmad explorer from Red Chair (a trial is enough, version 9.0.3 currently). 3) Right click the driver, properties, go to compatibility mode, and select Windows XP SP2. Make sure your Zen is unplugged (worked for me that way). Right click the driver installer again and Run as Administrator. It hanged around 72% for me, no biggy, open your task manager and shut the installer off. 4)Before rebooting, install Notmad explorer. (I installed only the Zen touch part of it. I tried to run it right away but got a ‘cannot find explorer.exe error – again, no biggy). 5) Reboot, plug in your Zen. Again for me, Notmad didn’t work. This is what worked: Without messing up anything, install Nomad Explorer by Creative on top of it all, and reboot again. 6) After reboot, with your Zen still plugged in, right click the little Notmad icon on the right part of the taskbar and select ‘Connect Jukebox Zen’. And voila, check your explorer, it should hopefully recognise the Zen Touch like windows xp would. If you still run into trouble, just install stuff from the beggining, making sure Compatibility: WinXP SP2 and Run as Admin are used everywhere, and keep rebooting till it hopefully works. Tried getting a Mozaic during their March sale – they’re terrible. I don’t recommend them at all. That’s why I’m going back and trying to rescue my Jukebox. Unfortunately your solution did not work for me. However, it is through this page that the solution was found. thanks. this is truly shocking behaviour by Creative though! Many thanks to the quoted post which very quickly solved the problem after hours of frustration. Many thanks. Thanks, that really helped. I set the driver to compatibility mode and installed it. Together with Mediasource 5 and the Mediasource 5 Zen NX Plugin it is indeed working under Vista Business 64bit. All i did was install the software on my pc, rebooted and then went to program files/creative/Jukebox 3 Drivers/CtDrvIns.exe and put that file in compatibility mode XP SP2, next run program files/creative/Jukebox 3 Drivers/CtDrvStp.exe and ignore the not legal driver notices. Then plugged in zen NX and the driver was recognized. I would like to say a big THANKS to the author of this post. After I tried so many drivers, applications and did such a big research, finnally I found this simple and genius solution. It works just perfect. Thanks again. Just passed bye to see how’s things going up for the final realease of Windows 7. As my last try to use jukebox zen was on Seven build 7077 and i had issues to get it work correctly. I finally manage it a much simplier way using “WinXP mode in Seven. “Xp mode, is a complete virtualized Windows XP system running in a window in Windows Seven”. Therefore you can install your jukebox directly in this windows xp and using it normally without getting any error or compatiblity problems. – WinXP mode only work with Windows Seven Ultmitate and Windows Seven Professional. -You need to download *Windows virtual xp” software on microsoft website. Finally I am able to recover my Creative Jukebox Nomad Zen Extra! I had failed to done it when my PC was Vista and had given up. Now my PC was Windows 7 and I thought why won’t I try again. However if not for the tricks in this website, my Jukebox will still continue to collect dust. Yes it works, thanks and many thanks. Now I have to struggle for my other Creative Zen Micro. So far no luck yet. My name is George. I have a Creative Zen Neeon 6 GB. Although I plug it into my Vista PC, I got the message that my Neeon is not plug in. Is there a solution. Appreciate very much any advice you can give. Fastest way is to load up Windows XP Virtual on Vista business or ultimate and it will solve your issue. Dear Mr. Knut….I also was one of the Nomad “victims”when getting a new laptop with Vista. The Nomad Zen NX 30 GB ( bougt in 2004!! or so) was not running in Vista . So I had to use my old XP laptob for loading new music on my Nomad. I often was looking via Google for the solution of this problem. Could not find anything what was helpfull. But then…yesterday evening …I start some googling again and found your blog…!!!!! Very detailed and very good instructions and good link for the driver. I did everything according your step by step instructions and …oh miracle…I all got installed smoothy. Then using my old Creative disc for installing tMedia Source…and also no prob. No reboot …everything installed 100% . No indicatinon even of getting download only 53 % or so . I did not had to kill it as you suggest in your 4 november 2007 updated Story!!! All went very satisfactional and works for the fully 100%!!!!! I am very happy with your instructions and really want to thankyou very very much for putting your story in your blog!!!!! Maybe nice to know , that I am from the Netherlands and you are from Australia……see how people crossing the globe can help each other!!! I have a Nomad Jukebox 3; just had to upgrade to a Windows 7 64-bit system and am trying to get my Jukebox working with it. I found and installed the latest driver mentioned as an administrator and with XP SP2 compatability. it installed okay and Device Manager in the Control Panel sees it and says it is working finel. Then I installed and updated Creative MediaSource. It recognized by Jukebox and installed fine. But the Jukebox does not show up under Computer nor does it appear in CMS. Any suggestions? In case anyone wants to know, I solved this problem by installing the version of Creative MediaSource that came with my Muvo (v. 2.03.29). The one that came with the Jukebox installed and recognized the Jukebox, but was old and really buggy. The newest version that I found on Creative’s website was too new to recognize the old JukeBox. But the Muvo version was the one that i had been using with XP. It ran just fine on W7 and recognized my Jukebox right off. Interesting post. I may try it. have Nomad Jukebox Zen Nx (30GB) and using Windows7 32-bit system but the player have failed to open with the computer when i connect it. Help mi get the driver(s) too.Thanks and reply. I’ve read all the posts in the hopes I can reconnect my beloved Zen but unfortunately they’ve been of no use thus far. I would really appreciate any help that anyone can give. I’ve tried the following to get my Creative Zen Nomad Jukebox NX to work with my Windows 7 and I’m having no luck. First I installed the JB3MV2_PCWDRV_US_2_01_00.exe and tried connecting my Zen via USB- no luck, computer didn’t recognise it. Then I installed the software on the original CD and tried that- the only difference now was that it would recognise it in the “other” section of my computer as a NOMAD Jukebox 2/3/Zen, but when I tried to open it, it didn’t show any files (I have 1223 songs on it.) I’ve tried the Carambis Driver updater but that doesn’t seem to have done anything either, including when I’ve used it to “repair” the drivers. Lots of rebooting in between each step, getting nowhere. Any help is most appreciated!! So I have no idea how I managed to do it, but I’ve fixed the problem. My computer now happily recognises it, the driver works and I can transfer all my music. I am one happy chappy. Thanks for the ideas to get me started on fixing this! wow, this has been a nightmare for me. I have tried everyone’s advice and I am still left with nothing. I did manage a small victory by installing the sync manager but when I plug the device into the computer the sync manager says no player connected. I think I have bigger problems. Does anyone know if there is a place that I can take my jukebox3 and zen xtra into where they can extract my music onto a flash drive or something? I would be happy just to get all my music onto the computer. I am grateful for any advice, thanks. ok, maybe im slow or something but I just bought a nomad jukebox zen xtra second hand and im operating on a windows 7 program on my lap top and I cant get this thing working at all…theres music on it from the other guy but im not liking his music so much, would rather my own…can you/anyone help me please!!!!!????? ?